If you and I were seated across the table today, looking eye-to-eye, I might tell you that I am tired. I might actually say exhausted is a better description. Because I am really good at deflecting and I am trying to be really good about listening, I would turn the conversation to you and how you have been. Actually, if I am being totally honest, I would suggest we meet for coffee because my house is a wreck and my desire to be domestic is at a record low. Mostly, because I am busy and we are in a season where everyone is coming and going and even dinners are mostly reheated. It is rare to sit down together, right now. And I knew it would be like this, but I didn’t like the idea of it. And even preparing words for you to rest in, words to encourage and equip and fill you up on the journey are being bombarded by the reality of the schedule and the enormity of the to-do-lists. And I am wondering where the fullness of grace exists in the midst of it all. Yet, still… I want to know…How are you? I want to ask…How can I pray for you? Because this is the essence of community and of breaching gaps that leave us full of holes that happen when life happens all around us.Because it is all a part of the gathering we do and a collecting of these #gracemoments that meet us and bless us and build us and surround us and prepare us. Grace prepares us to live out life together in a way that points to Jesus and the finished work of the Cross. It is a heavenly commodity whose economy is a universal token. There is no exchange that has to be prepared. We can spend it freely amongst one another lavishly. 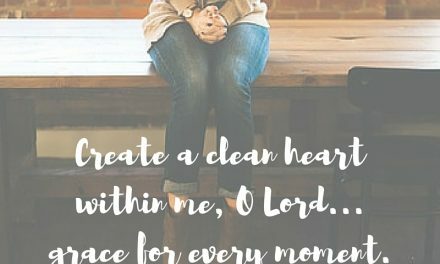 And even though my house looks like a tornado has eclipsed its entirety, I would love to invite you in, here right in the midst of my messy loving Jesus living, so that we can spill grace out over the threshold of our communing and lead each other into the full on purpose of being refined by truth. 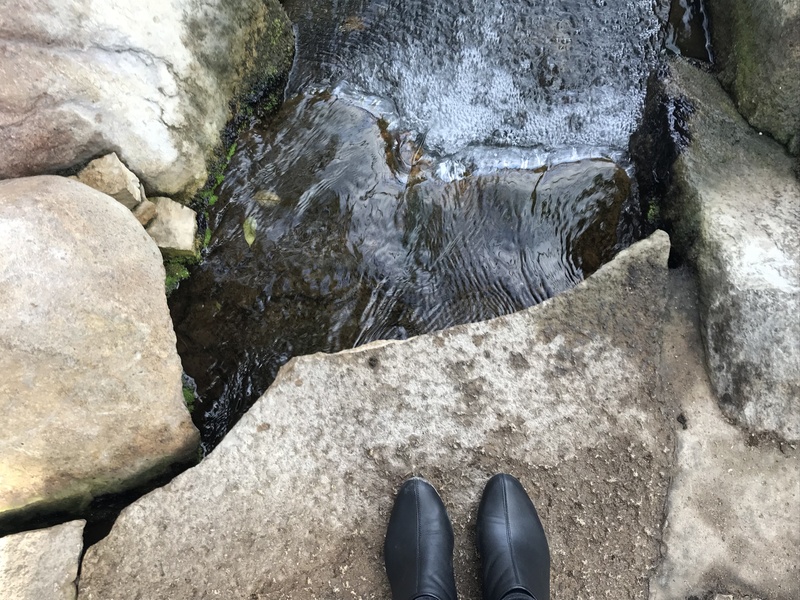 This virtual table of grace is my only connection to you, an open space where we can manifest grace in the midst of our mess and let truth be served in epic proportions. But it is enough. Because grace multiplies the more we give it and we can be philanthropists of its giving the more we resonate with its message. 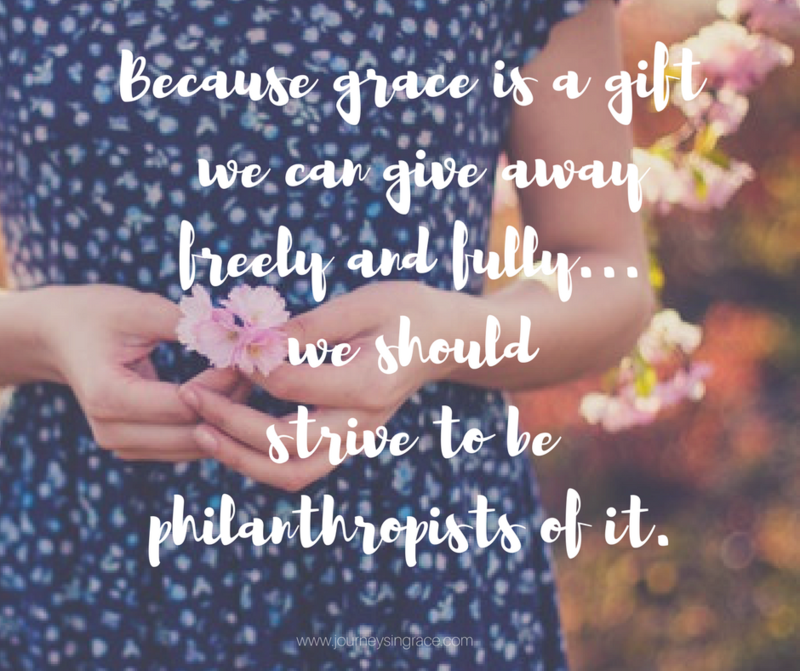 What if we were philanthropists of grace? As we combine faith, hope and love, the greatest of the gifts of His Spirit in us, merging into an offering where joy and peace are present, goodness and kindness are evident, and faithfulness and gentleness are constant start to become our reality more and more. Gospel living becomes an extension of all we do where good works are a part of the manifesto to live out grace every moment. Because we are fully meant to be philanthropists of His grace. What if we really spent time drawing up from the well of the fullness of God, sorting out the gifts we have received from Him and let them be spilled out… handed out liberally… to those we meet with and sit among? Because grace is bound in the culmination of all those things that are evidence of His Spirit operating in us. If the fruit of the spirit is love, joy, peace, patience, kindness, goodness, gentleness, self-control, and faithfulness… and against such things there is no law… then I want to manifest those graces in every single thing that I do. I am determined to be developed by His Spirit in these little things that really are big things in light of this journey we are taking together. I want desperately to be one concerned with kingdom things instead of whether or not my home, my words, or my offerings are enough for the world. We are created to praise, cultivated to pray, and conditioned to peace. We are intended to manifest grace together. 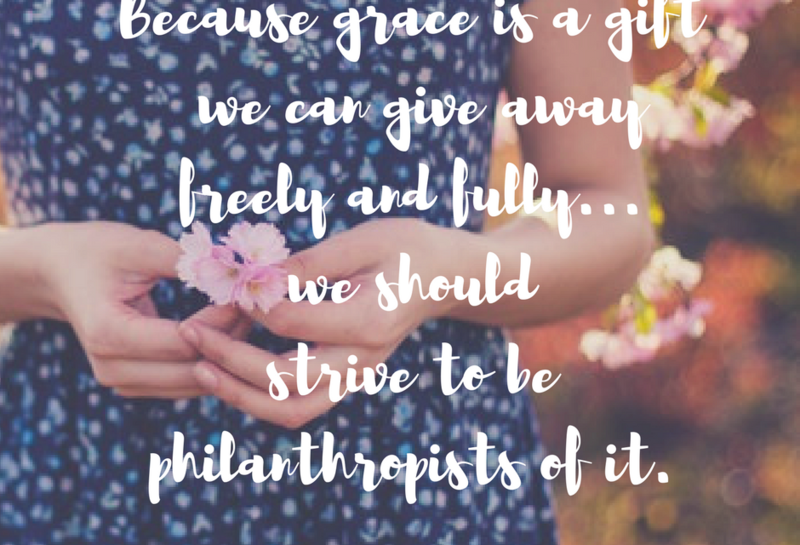 The more I thought about the philanthropy of grace… the more I realized that I wanted to write a grace manifesto. Specifically, intentionally, and purposely pointing out those places where grace needs to bloom in my life. I want to be of use to the One whose grace has set me free. I want to be released from the weight of producing and performing and counting the numbers that don’t matter, and always to define grace by His standards and never my own. Grace refines us in mercy and bathes us in possibilities and gathers us in hope. I sorta think it may just be one of heaven’s superpowers, maybe. What if we wrote a manifesto of grace to remind ourselves the truth of what is consistently offered in God’s love and forgiveness? 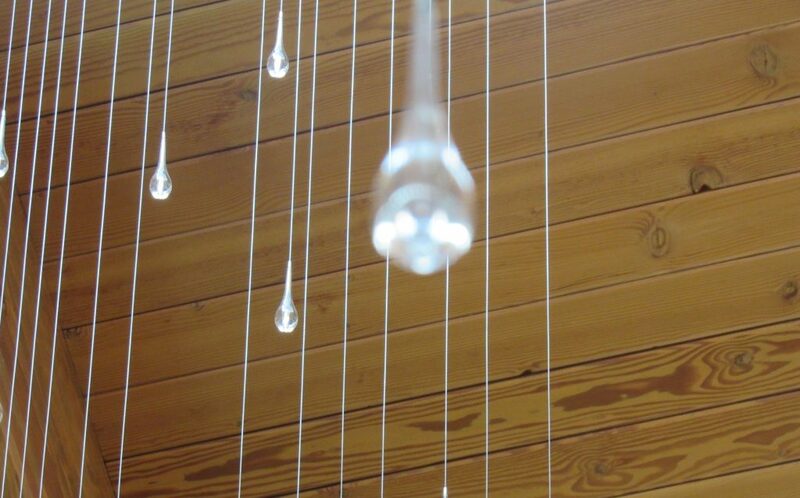 What if we made a declaration to turn on the light for others? What if we let ourselves believe a little more, have faith a little more, and sought grace a little more? I think it may just change the world and we just may find ourselves fully able to carry grace to a waiting and needing world. Grace is the overflow from the beginning to the end of God’s reach towards His own. 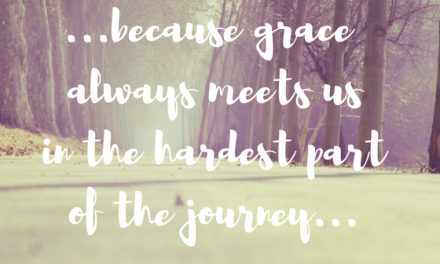 Grace means that our mistakes are given purpose and that shame has no authority in our life. Grace is for everyone. Let’s be philanthropists of grace in this world, looking through the lens of the Cross and letting hope grow, love flourish, and joy bloom in the midst of our humanity and leading us fully to the Savior who fills us and supplies our every need. 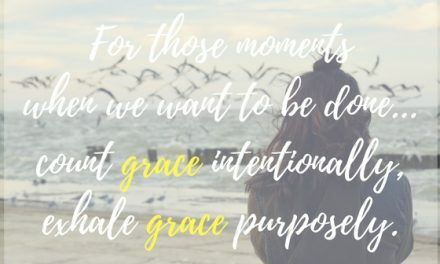 #GraceMoments Link Up Changes: Because of the many changes to my schedule in the past few months I have found it increasingly difficult to make the link up early in the day and I have wondered if it was time to stop hosting this link up. However, I would miss you all too much. So even though the link up will still be available on Thursdays, it will not be open until 4:00 pm. I appreciate your understanding and I am so very glad you are here. Write your own Grace Manifesto. 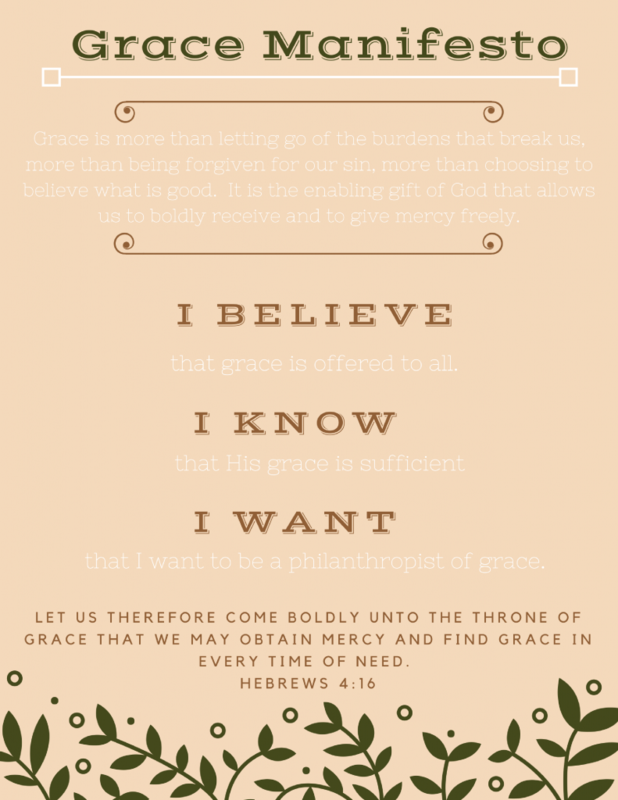 You can download a copy of the Grace Manifesto above and an additional page to add your own words. Enjoy!! My goodness, Dawn. What a rich word picture you’ve crafted here. I’m going to be mulling over this idea of philanthropic grace. 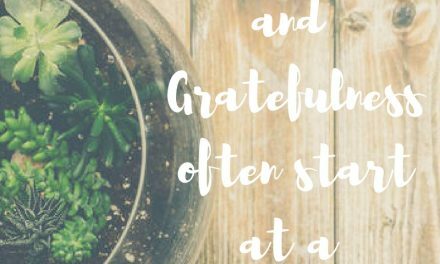 Dawn, I love your post every Thursday and I’m thankful to post in your linkup whenever I can! No worries about the time switch. Sharing this beautiful post on Twitter and Pinterest! Beautiful yes!! We are philanthropists, or as it is written in 1 Peter, priests. We as believers are automatically in the business of ministry. I don’t think most of us looks at it like that. But, I was shown that is how it is and should be looked at! Eyeopener for sure. Thanks for hosting!